If it’s one thing you can be sure of, trends never stand still. We asked the experts to give us a taste of what’s trending for 2018. 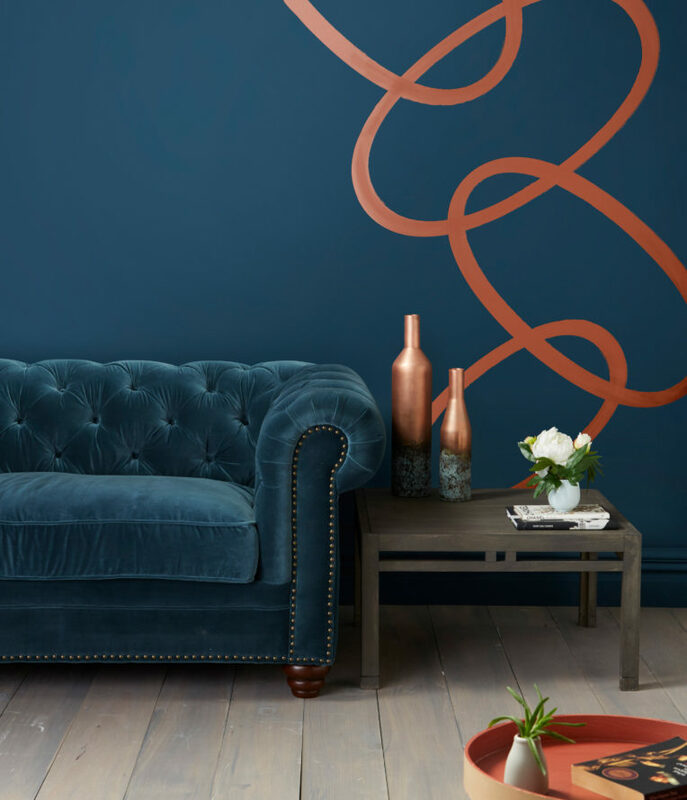 There is a definite shift to embracing darker hues inside, taking cosy to a new level. This isn’t an all black story; instead, it focuses on dark colours with deep blues and greens and smoky charcoals, such as Resene Indian Ink and Resene Coast. Dark walls ensure space doesn’t feel empty. The deep backdrop enhances the greenery of plants and colours in artwork. 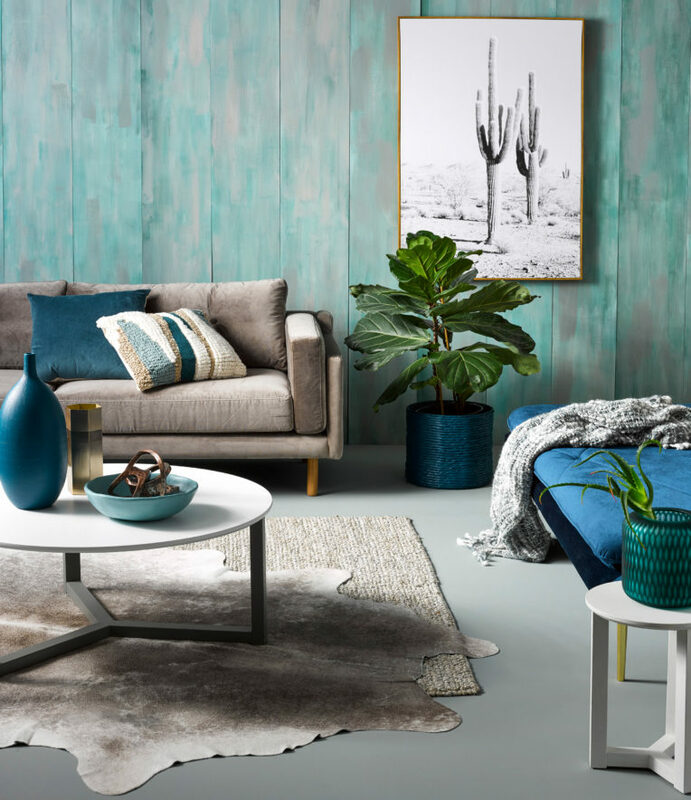 “Yes, we are still using metallic, but with an earthier twist,” says interior designer and colour consultant Debbie Abercrombie. “The mix of black and metallic, such as Resene Catch 22, is strong, elegant and very on trend. 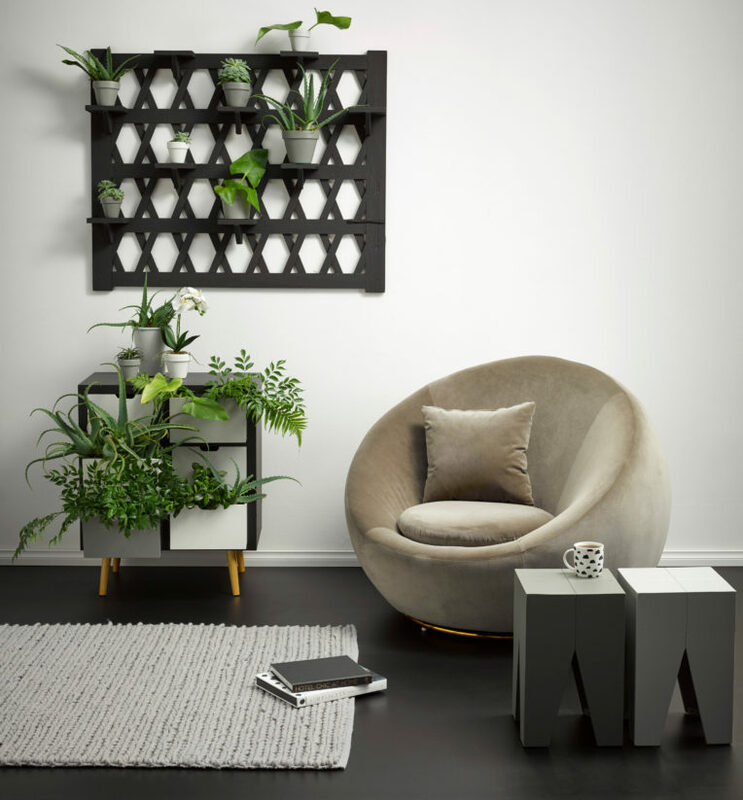 Though it is stylish enough to outstand trends too.” Whether it’s stools, chairs, wall units and planters painted in metallic hues, or simple metallic touches added to handles and legs, picture frames, textiles and wallpaper – metallics are a versatile choice. Use metallics to glam up a room, or pair them with handcrafted ornaments, natural stone or exotic wood. We’re not ready to let go of botanicals just yet. We’re still seeing bold-leafed plants in our homes, in particular, ‘patterned’ plants with leaves bearing stripes or splotches. Forget maidenhair ferns; consider calathea, croton and dieffenbachia instead. Nature’s green hues are prominent too. We’re also seeing the blues – from deep and dark to weathered blues, such as Resene Half Dusted Blue. 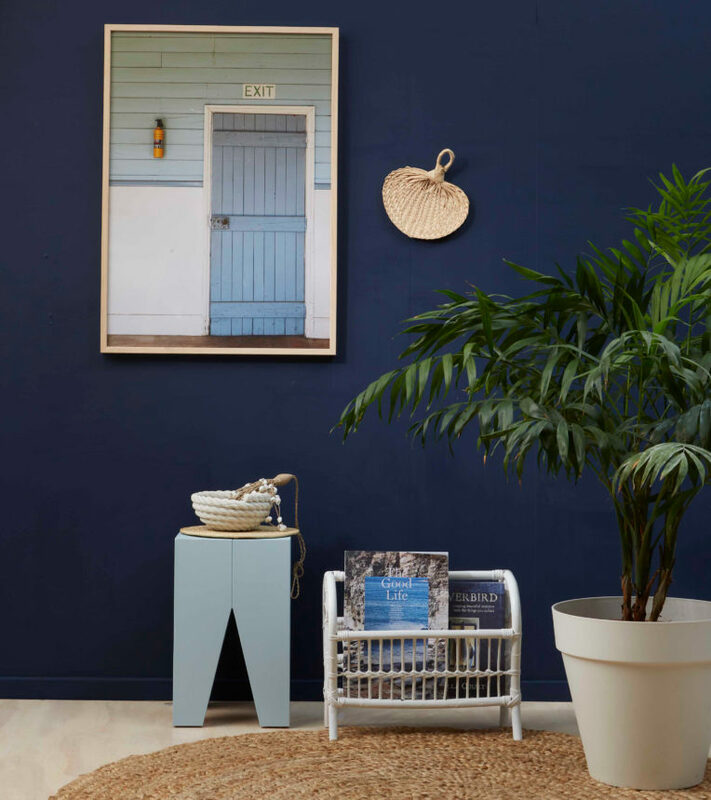 So easy to incorporate into a project, blues continue as a perennial favourite. Forget traditional paint effects. Effects are back in fashion, but with a modern overhaul; freehand styles paired with modern colourways. The look is less prescribed and perfect and lighter on the senses than the traditional overly detailed finishes of decades past. Texture becomes an added dimension using products such as Resene Sandtex and Resene Resitex. Or go for a coastal inspired durable washed effect with Resene Colorwood Whitewash and Resene Colorwood Greywash. 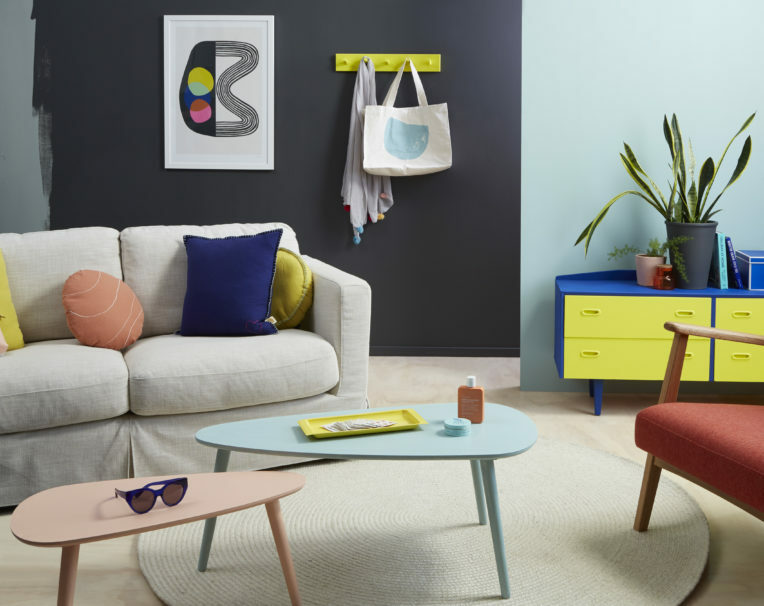 The future continues to brighten, as bold, eye-catching colours give a fresh vibrancy to rooms. 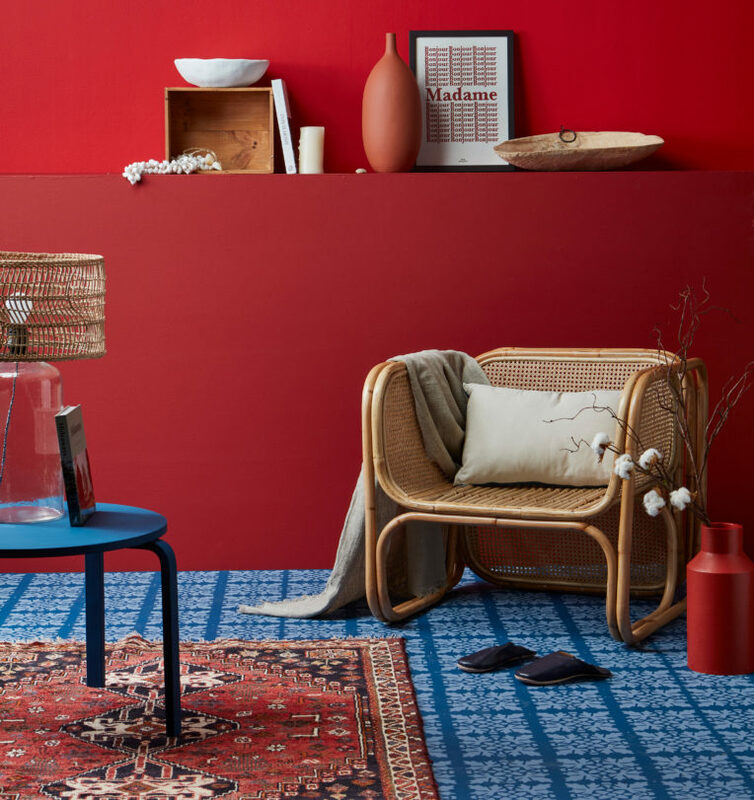 Whether it’s quirky and out-of-the-ordinary or intense and sophisticated, a lively palette inspires cheerfulness and a playful release. 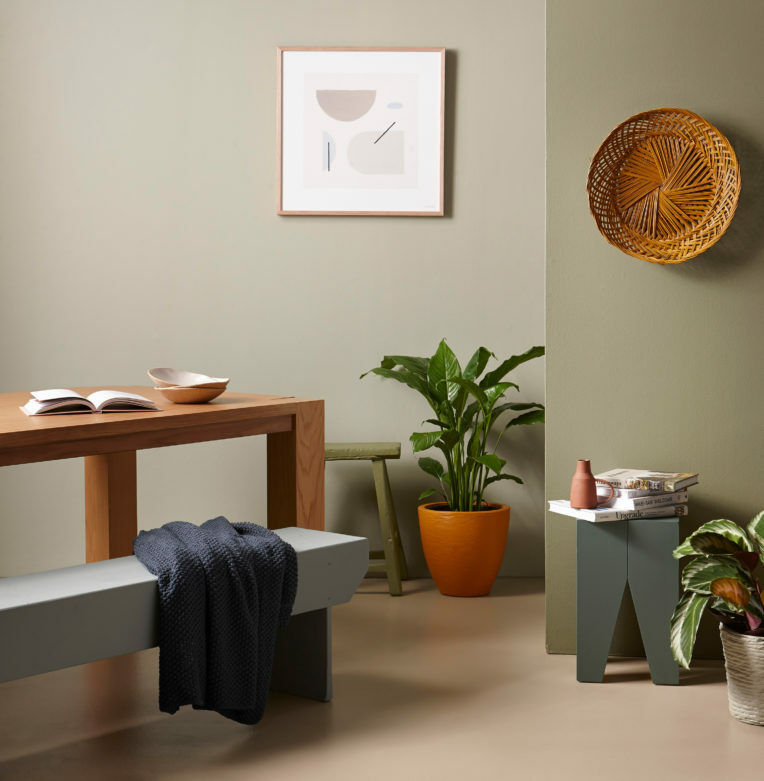 Think palettes featuring accents of red, earthy oranges, aqua blue, yellows and lime green. Resene Turbo, Resene Pohutukawa and Resene Daredevil are favourites for a pop of colour. Using recycled materials and upcycled objects is not just a trend, it’s becoming a responsibility. Resene paints, stains and clear finishes are an easy way to help repurpose or reuse a favourite piece of furniture or accessory. 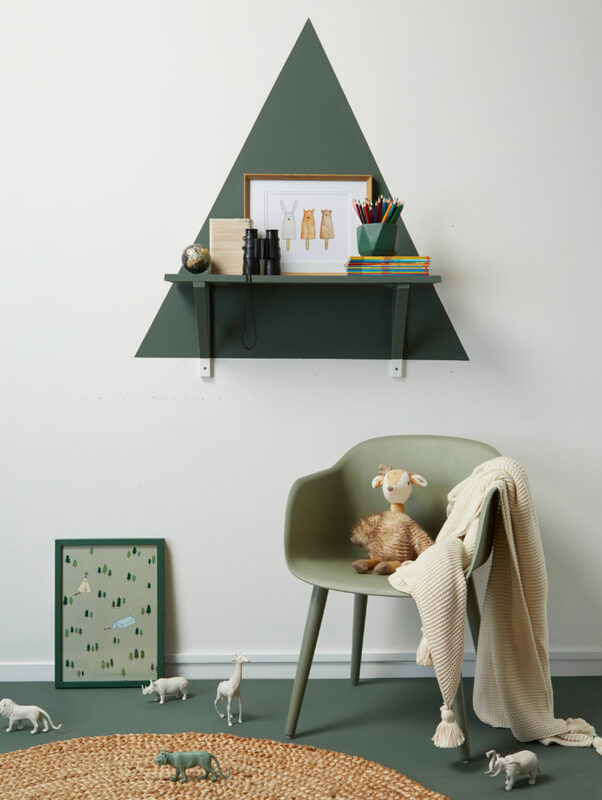 Old can easily become new by redecorating with a fresh new colour and finish. For more expert advice on colours & trends or any other renovating projects, visit the Auckland Home Show, 5 – 9 September 2018 at ASB Showgrounds, Greenlane, to get free expert advice from more than 500 leading industry experts and suppliers. See www.aucklandhomeshow.co.nz for more info!